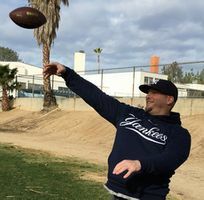 "Coach Andy" has been running youth sports programs in the Pasadena area for over a decade. After graduating from the University of Michigan in '98 (Sports Management) he moved to Southern California and began training elementary age kids. Andy founded Assist Athletics in 2004. Since then "Coach Andy" has been trying to put the "fun" in fundamental skill development while emphasizing the importance of teamwork, sportsmanship, and hustle in team sports. 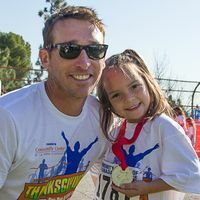 "Coach Jason" is a coach, program director and certified trainer with Assist Athletics. He graduated from University of Nevada Las Vegas with a degree in Physical Education and is a Performance Enhancement Specialist with the NATIONAL ACADEMY OF SPORTS MEDICINE (NASM PES). He has coached football, basketball and baseball as well as personal trained numerous high school, college and professional athletes. Coach Jason played football in college at UNLV and was a member of the 1994 Big West and Las Vegas Bowl Championship team that was also inducted into the UNLV Sports Hall of Fame. "Coach Candice" is a coach and our new Basketball Specialist. Candice brings a wealth of knowledge to our coaching staff. Her love of all sports is displayed in her coaching style. Candice has been recently inducted into the Stanford Hall of Fame in 2018. To provide every athlete an opportunity for success in team sports, to teach and excite our participants so they will WANT to engage in physical play, and show the importance of TEAM-work in TEAM-sports. Since 2004 Assist Athletics has been providing unique classes and camps aimed at giving kids the best possible sports experience. Assist Athletics offers youth sports and sport training programs for athletes and kids of all ages. Our coaches have over 40 years combined experience working with athletes of all ages and levels. Too many kids are not playing outdoors enough to get adequate exercise. Instead, the majority of their free time is spent in front of a screen. Due to educational budget cuts, often times very little physical education is offered through the school systems.